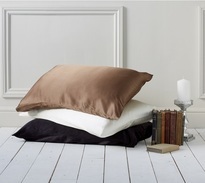 Buy any 2 silk pillowcases for £50, enter code: SILK50 at the checkout. 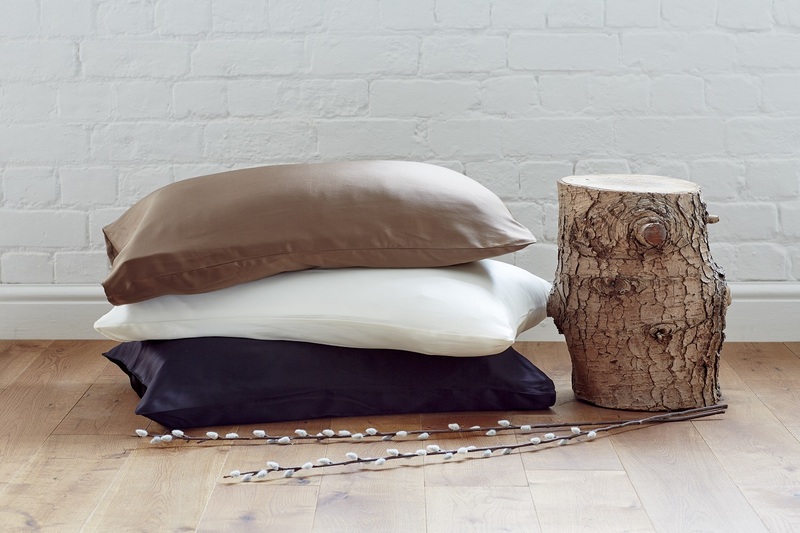 This luxurious black Mulberry Silk Pillowcase is made from 100%, 19 momme, Finest and Seamless Mulberry silk, it has a 400 thread count creating a wonderfully soft and perfectly smooth pillowcase. 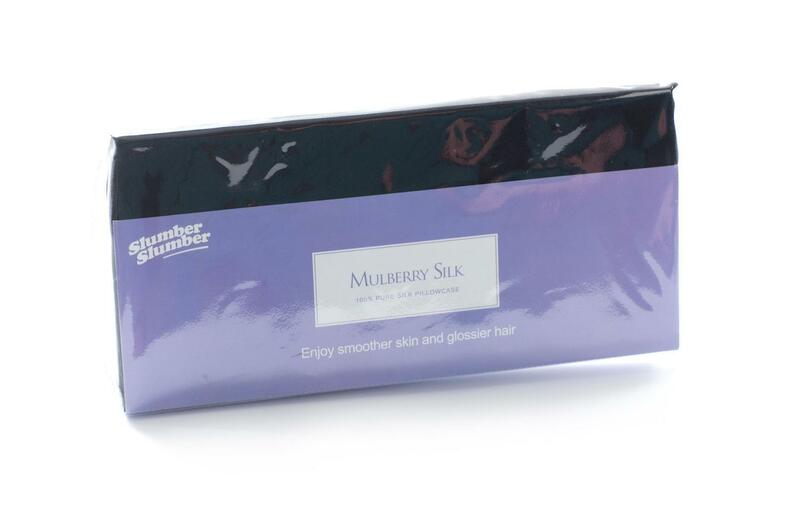 This exquisite pure silk pillowcase is the ultimate in luxury with superb anti-ageing skin care properties. Unlike traditional cotton pillowcases which draw moisture from your face and hair as you sleep, silk pillowcases allow your skin to retain its natural moisture. 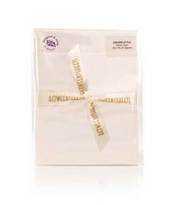 Silk is made up of strings of amino acid that have the same ph level as your skin and are beneficial to those who suffer itchy skin such as rosacea and eczema. They can also alleviate aches and pains,and may aid blood circulation and digestion when sleeping. 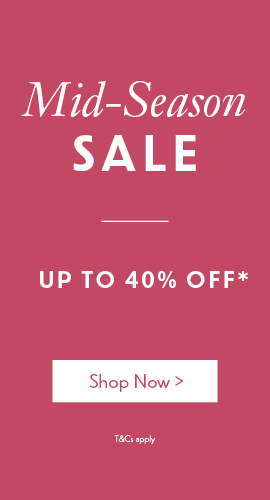 Silk is also naturally hypo-allergenic and therefore perfect for allergy sufferers. Silk is exceptionally smooth at a microscopic level which helps to avoid friction of the hair, leaving you looking glossy and smooth from the moment you wake. The strings of amino acids that make up silk have the same ph level as your skin and this helps to prevent frizzing and split ends. Before purchasing a silk pillowcase it is vital to check the momme weight of the silk linen. ‘Momme’ is the unit used to grade the quality of silk. Those graded between 12 – 19 are considered to be of a high quality and silk in the range of 16 – 19 extremely high quality. 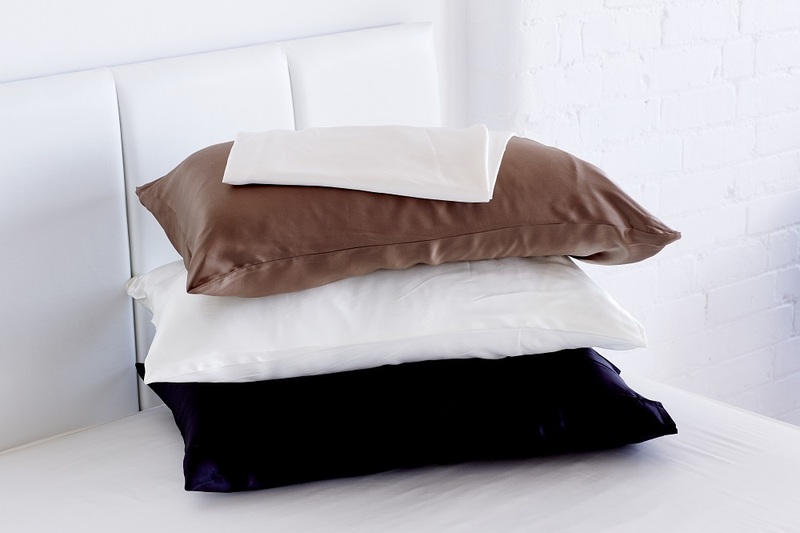 Our silk pillowcases are graded as 19 momme which is the smoothest, creamiest and shiniest type of silk. Available in three silky colours; Ivory, Chocolate or Black. Our Black silk pillowcases have been dyed using a dye with a skin friendly PH value. Really fabulous pillowcases. Silken soft and soothing these are a must.